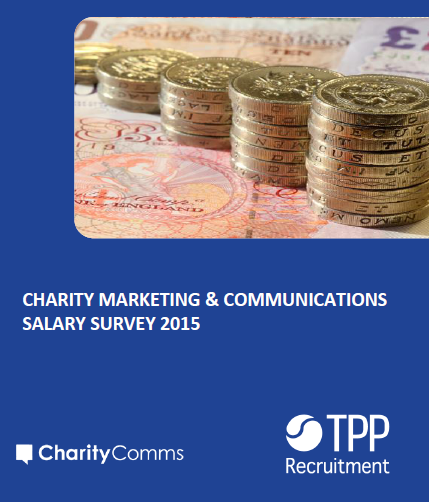 Communications is becoming more valued in the charity sector according to the latest salary survey from CharityComms and TPP Recruitment. The Charity Marketing & Communications Salary Survey 2015 shows that over half (54%) of respondents feel communications has become more valued over the past year, a 4% increase on last year’s figure. The survey also shows that overall, the size of charity marcomms teams and the level of individual salaries appear to be stable, with 65% of respondents seeing salaries remaining at the same level as last year and 63% thinking their marketing and communications team will remain the same size next year. Kate Maunder, divisional manager at TPP Recruitment, said: "We’ve seen some junior salaries nudge back up this year, after dips in 2014. We believe this is because of increased confidence and a focus on future growth. Senior salaries still vary widely across different types and size of organisation." As CharityComms' chair John Grounds argues, the difference between charities that really understand the benefits of investing in communications (and therefore communications staff) and those that don’t is palpable. Not just in visibility, but also style, confidence, innovativeness and effectiveness. While sections of the national press are attacking charities which employ paid staff as wasteful, as Jeremy Hughes, CEO of Alzheimer's Society said yesterday: "The charitable sector needs to attract people with the right skills and experience to deliver services to millions of people, raise funds and create wider change on behalf of the people they represent." Charity pay is still considerably lower than for equivalent private sector posts: our survey shows up to a 30% differential, with the NCVO suggesting this rises to 45% when taking into account bonuses and other incentives. Read about how to make the case for communications, and see the presentations from our Making the case for comms workshop here.